There is no restriction on civil proceedings progressing in parallel with, or in advance of, criminal proceedings concerning the same subject matter. Nevertheless, a court retains the discretion to stay civil proceedings during the pendency of criminal proceedings. Proceedings should be brought in a High Court. There are state High Courts in each of Nigeria’s 36 states and the Federal Capital Territory, as well as a Federal High Court, which has a presence in every state. Six years for actions in tort and contract, and 12 years for actions seeking to recover land. Where there has been an acknowledgement of the cause of action, the limitation period runs from the date of the acknowledgment. Where the cause of action is based on fraud, the period of limitation does not start until the claimant has discovered the fraud or could have discovered it with reasonable diligence. Similarly, where an action seeks relief from the consequences of a mistake, the limitation period will not start until the claimant has discovered it or could have discovered it with reasonable diligence. Jurisdiction of the court is determined by the cause of action of the claimant as stated on the writ of summons and statement of claim. A defendant who wishes to challenge the jurisdiction of the court may enter a conditional appearance. The practice is to file a preliminary objection challenging the competence of the suit at the earliest possible time and before taking any steps in the matter, on the grounds that the court lacks the jurisdiction to entertain the action. Alternatively, the defendant may set his or her objections out in his or her statement of defence. The time for civil court claim to reach trial will depend upon the court in which it is made. If the claim is made in a jurisdiction (there are 38 different civil jurisdictions where claims can be brought in Nigeria) where the courts deal with numerous actions (such as in Lagos State), claims will take longer to reach trial than in jurisdictions that receive fewer cases. Under the civil procedure rules applicable in most jurisdictions in Nigeria, civil claims can be expected to reach trial within a year from when they are filed. facts showing the existence of any course of business. Evidence obtained improperly, in contravention of a law, or in consequence of an impropriety or a contravention of a law shall be admissible unless the court is of the opinion that the desirability of admitting the evidence is outweighed by the undesirability of admitting evidence that has been obtained in such a manner. The court has the power to summon witnesses to attend court for the purpose of giving evidence, and to produce documents. Failure to attend upon a summons may result in punishment by the court, by way of a fine or imprisonment. The Investment and Securities Act 2007 requires that all securities of a public company be registered with the Securities and Exchange Commission, and information may be found at the Commission concerning such shares. Information concerning the securities of companies generally may also be found at the Corporate Affairs Commission, which is the body charged with the statutory duty of company registration. Information is available to any member of the public upon formal application and payment of requisite fees. Information concerning the registration of vehicles is decentralised and may be obtained at the relevant local governments in the state where the vehicle is licensed. All information relating to land registration may be found at the land registry of the state where the land is situated. Information concerning any land in the state may be obtained upon formal application to conduct a search of the relevant file at the land registry and the payment of requisite fees. Information and evidence obtained from law enforcement and regulatory agencies may be obtained for use in civil proceedings. The challenge, however, is in getting such agencies to provide information. Other than under the Freedom of Information Act, the only method of securing the production of evidence obtained by law enforcement and regulatory agencies unwilling to provide the evidence voluntarily is by resorting to the powers of the court to issue a summons, as described in question 7. Generally, third parties could be summoned to court to testify or produce documents where the court, in the exercise of its discretionary powers, considers it appropriate to do so in the interests of justice. It is the claimant’s duty to provide materials that would guide the court in the exercise of its discretion. Banks in Nigeria are usually reluctant to divulge any information concerning their customers and are only likely to give out any information upon an order made by a court directing them to do so. However, where it appears to the court that there exists a basis to suggest that a wrong has been committed, the court may, in the interests of justice, make an order compelling a third party to present information requested by an applicant. The applicant must, however, convince the court that the information required from the third party is one without which the matter cannot be decided. A claimant who is anxious to prevent the dissipation of assets during the pendency of a matter may approach the court by a motion ex parte for an injunction to freeze assets. This would prevent a defendant from dissipating the assets beyond the jurisdiction of a court in an attempt to frustrate a judgment. where a party seeks to obtain information from a person suspected of involvement in the fraud but who is not a part of the action, such party may approach the court for an order requiring such third party to disclose certain documents or information to the applicant. The onus is on the applicant to show that the action before the court would not be possible without the third party’s information. A party who refuses to comply with court orders may be cited for contempt of court. In the case of individuals, this may result in punishment by imprisonment, a fine or sequestration of assets. In the case of a corporation, the punishment may be by sequestration of assets or a fine. Information may be obtained from courts in jurisdictions with which Nigeria has made an agreement in that regard. The party that obtains an order for the examination of a witness abroad is expected to file an undertaking, at the registry of the court issuing the order, of financial responsibility for expenses incurred by the Ministry of Foreign Affairs with a letter of request to be issued concerning the order. The undertaking is to be accompanied by a copy of interrogatories where necessary. These documents are then dispatched alongside a request form to be signed by the chief judge of the issuing court addressed to the competent judicial authority of the other jurisdiction, requesting that the witness be summoned for examination at a specified time and place before the authority or person competent to take the examination. The civil courts can assist in the examination of witnesses where such witnesses are in Nigeria, and a request to that effect has been made from a jurisdiction with which Nigeria has made an agreement regarding this matter. Fraud, fraudulent transfer and breach of contract are common causes of action in civil asset recovery cases. Such actions could also include proprietary claims. A claimant in a civil recovery action could approach the court for an order of restitution, damages, seizure, constructive trust or account of profits. Where a defendant fails to appear, a claimant may proceed upon such default of appearance to obtain judgment under the appropriate provisions of the rules of court. Some rules of court also contain summary judgment provisions, which provide that where a claimant believes that there is no defence to his or her claim, he or she may seek summary judgment in a procedure that requires the defendant to demonstrate to the court the existence of facts that disclose a prima facie defence to the claims. through a winding-up order in the case of a corporation. sequestration: a writ of sequestration empowers the bailiff to seize a person’s property, movable and immovable, in certain circumstances. These include where an order or warrant of arrest, commitment or imprisonment has been issued against that person but he or she cannot be found; or where he or she has been detained for failing to obey the judgment of the court but continues to disobey the judgment. A party may enter into a contract with his or her attorney for a contingent fee in respect of a civil matter to be undertaken on his or her behalf. The fee may be paid or agreed to be paid for the attorney’s service under an arrangement where compensation is contingent in whole or in part upon the successful accomplishment or deposition of the subject matter of the agreement, and is to be an amount that is either fixed or is to be determined under an agreed formula. Costs incidental to all proceedings are solely at the discretion of the court. The court will normally take into consideration factors such as the cost of legal representation of the successful party, and travel and other expenses of parties and witnesses. In reality, there is no single legal framework in relation to interim measures for the freezing or seizure of the proceeds of crime. Various statutes in Nigeria make provisions for the forfeiture of property where such property is the subject matter or evidence in a criminal action. The Economic and Financial Crimes Commission (Establishment) Act 2004 (the EFCC Act) provides for the establishment of the Economic and Financial Crimes Commission (EFCC), a body charged with the enforcement of all economic and financial crimes laws. Under section 27 of the Act, where a person is arrested for committing an offence, he or she must make a full disclosure of his or her assets and property by completing the declaration of assets form as specified in Form A of the Schedule to the Act. The completed form shall then be investigated by the EFCC. It is an offence to make a false declaration or refuse to make full disclosure or any disclosure at all. Upon the attachment of any property under the Act, the EFCC shall apply to the court for an interim forfeiture order. Where a person is arrested for an offence under the Act, the EFCC shall immediately trace and attach all assets and property of the person as a result of such economic or financial crime and shall then obtain an interim attachment order from the court. The Act further provides that where assets or property of any person arrested for an offence under the Act have been seized, or any assets or property have been seized by the EFCC under the Act, the EFCC shall cause an ex parte application to be made to the court for an interim order. This forfeits the property concerned to the federal government and the court will, if satisfied that there is prima facie evidence that the property concerned is liable to forfeiture, make an interim order in accordance with section 29. The Corrupt Practices and Other Related Offences Act 2000 also makes provisions in this regard; the Act empowers an officer of the Independent Corrupt Practices and Other Related Offences Commission to seize property in the course of investigation if he or she suspects it is the subject matter of an offence, or evidence relating to the offence. Under section 27 of the EFCC Act, an arrest triggers the investigation of assets and property of a person arrested for an offence under the Act. 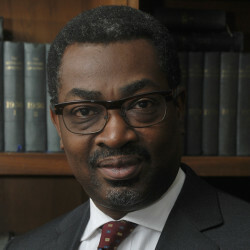 The Corrupt Practices and Other Related Offences Act empowers the Chairman of the Commission, where he or she has reasonable grounds to believe that an offence under the Act has been committed, to require a person to identify every property, whether movable or immovable, within or outside Nigeria, belonging to this person or in his or her possession, or in which this person has any interest, whether legal or equitable, and specify the date on which each of the properties identified was acquired and the manner in which each was acquired. Under the EFCC Act, a person convicted of an offence shall forfeit to the federal government all assets or property derived from any proceeds the person obtained, directly or indirectly, as a result of such offence. Any of the person’s property or instrumentalities used in any manner to commit, or to facilitate the commission of, such offence may also be forfeited to the federal government. The order confiscating the proceeds and instrumentalities of crime may be made in addition to any other sentence to be imposed at the time of sentencing. Under the Corrupt Practices and Other Related Offences Act, the court may make an order of forfeiture of any property that is proved to be the subject matter of an offence, where the offence is proved against the accused, or the offence is not proved against the accused but the court is satisfied that the accused is not the true and lawful owner of such property and that no other person is entitled to the property as a purchaser in good faith for valuable consideration. The Criminal Code Act also makes provisions for forfeiture in respect of certain offences. The court may, in addition to or in lieu of the penalty that may be imposed, order the forfeiture of any property that has passed in connection with the commission of the offence or, if such property cannot be forfeited or found, of such sum as the court shall assess as the value of the property. There is no legal framework by which the court may calculate the value of the benefit unlawfully obtained, other than the provision in the Criminal Code Act that empowers a court to assess the value of property to be forfeited. The assessment and value to be ascribed to such proceeds appears to be at the discretion of the court, exercised upon a consideration of all relevant materials placed before the court by parties. Where a person is convicted for an offence under the EFCC Act, the EFCC or any authorised officer may apply to the court for an order of confiscation and forfeiture of the convicted person’s assets and properties acquired or obtained as a result of the crime subject to an interim order under the Act. Assets forfeited under the EFCC Act are to be disposed of by the Secretary to the Commission and the proceeds paid to the federal government. Under the Criminal Procedure Act, every article (not pecuniary) forfeited in respect of an offence, or the seizure, forfeiture or disposal of which may be enforced by the court, may be sold or disposed of in such a manner as the court may direct, and the proceeds of such sale shall be applied in a like manner as if the proceeds were a penalty imposed under the written law on which the proceeding for forfeiture is founded. Under the provisions of the Administration of Criminal Justice Act 2015, where the court orders the forfeiture or confiscation of any property but does not make an order for its destruction or for its delivery to any person, the court may direct that the property be kept or sold, and that if the property is sold, the proceeds of the sale be held as the court directs until some person establishes to the court’s satisfaction a right to the property. Where no person establishes a right within six months from the date of forfeiture or confiscation of the property, the proceeds of the sale are to be paid into the Consolidated Revenue Fund of the Federation, the Consolidated Revenue Fund of the State or any other appropriate account, as the case may be. The police, the EFCC and the Independent Corrupt Practices Commission are the agencies responsible for tracing and confiscating the proceeds of crime. Secondary proceeds may be confiscated if such proceeds are traceable to crime. Property acquired by third parties may also be confiscated if such property was acquired with the proceeds of crime. Under section 255 of the Criminal Procedure Act, a court may order any person convicted of an offence before it to pay to the prosecutor such reasonable costs as the court deems fit. Such costs may include the costs of asset tracing and confiscation. Also, under section 338(2) of the Administration of Criminal Justice Act, at any time within six years from the date of the property coming into the possession of the police, the court may direct the property or the proceeds of the sale of the property to be delivered to any person proving his or her title to it, on payment by him or her of any expenses incurred by the court in the matter. Yes, value-based confiscation is allowed. Under the Corrupt Practices and Other Related Offences Act, where the court has made an order for the forfeiture of any property that is proved to be the subject matter of an offence or to have been used in the commission of an offence, and such property has been disposed of or cannot be traced, the court shall order the accused to pay a penalty sum equivalent, in the opinion of the court, to the value of the property. The burden of proof is on the party making an assertion. 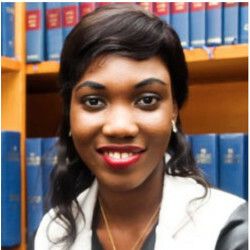 However, where a person is accused of an offence, the burden of proving the existence of circumstances that would make the case eligible for any exception, exemption from, or qualification to, the operation of the law creating the offence with which he or she is charged, is upon that person. The burden of proof may therefore be shifted where the defendant seeks to establish that the property to be confiscated does not form part of the proceeds of crime or that it is one that cannot be seized for another reason. [C]onfiscation or delivery to a person appearing to be entitled to the possession or otherwise, of any movable property or document produced before it or in its custody or regarding which an offence appears to have been committed, or which has been used for the commission of an offence. Also, section 336 provides that where it appears to the court that by force a victim has been dispossessed of any immovable property, the court may, where it deems fit, order the possession of the property to be restored to the victim. Under the Criminal Procedure Act, during or at the conclusion of trial, the court may make such order as it deems fit for the forfeiture or confiscation of any property produced before it regarding which an offence appears to have been committed or which has been used for the commission of any offence. Property in this context is not only property originally in the possession or under the control of any party, but also any property into which the property has been converted or any property for which it has been exchanged, and anything acquired by such conversion or exchange, whether immediately or otherwise. The proceeds of crime may only be confiscated on an interim basis without a conviction, although under the Corrupt Practices and Other Related Offences Act where there is no prosecution or conviction for an offence in respect of any property seized under the Act, the Chairman of the Independent Corrupt Practices and Other Related Offences Commission may, before the expiration of 12 months from the date of the seizure, apply to a judge of the High Court for an order of forfeiture of the property if the Chairman is satisfied that such property has been obtained in connection with the giving or taking of gratification (money, donation, reward, among other things), or the fraudulent acquisition or receipt of property. Generally, seized assets are managed by the court, which may make such order as it deems fit for their disposal. Where the court orders the forfeiture or confiscation of any property but does not make an order for its destruction or for its delivery to any person, the court may direct that the property be kept or sold, and the proceeds thereof held until some person establishes such a right within six months from the date of forfeiture or confiscation. Such property or its proceeds shall therefore be paid into, and form part of, government revenue in accordance with section 263(2) of the Criminal Procedure Act 2004 and section 332(2) of the Administration of Criminal Justice Act. Where the proceeding is one initiated by the EFCC, section 31 of the EFCC Act provides that upon the delivery of a final order of forfeiture, the Secretary to the EFCC is expected to take all steps to dispose of the property concerned by sale or otherwise, and the proceeds of sale of such property shall be paid into the Consolidated Revenue Fund of the Federation. International legal assistance concerning provisional measures in relation to the recovery of assets may be sought from countries with which Nigeria has signed a mutual legal assistance treaty (MLAT). Under an MLAT, the foreign country could assist in proceedings relating to the forfeiture and immobilisation of proceeds or instrumentalities of criminal offences. Foreign requests for legal assistance concerning provisional measures in relation to the recovery of assets would be met where the requesting country has signed an MLAT with Nigeria. the United Nations Convention against Transnational Organized Crime (signed on 13 December 2000 and ratified on 28 June 2001). Although a private prosecutor may file information in court subject to provisions of the law, the power to arrest, trace and seize the proceeds of crime lies with the agencies of the state, and as such it is always advisable to solicit the support of these agencies. Following the suspension of the Nigerian Financial Intelligence Unit (NFIU) by the Egmont Group, the National Assembly enacted the NFIU Act, which makes the NFIU an independent body. The NFIU, notwithstanding the enactment of this legislation, is yet to be restored to the Group, and a decision on this is expected to be taken at the meeting of its Heads of Financial Intelligence Units to be held in September 2018. In December 2017, at the Global Forum on asset recovery that took place at the International Finance Corporation Headquarters in Washington, DC, US, the Attorney General of Nigeria signed a tripartite agreement with the government of Switzerland and the World Bank for the repatriation of US$321 million recovered from the estate of former Head of State Sani Abacha. This amount has, reportedly, been returned to Nigeria. At the end of December 2017, the government announced a whistle-blowing policy, under which it sought to encourage persons with information about the violation of financial regulations, the mismanagement of public funds and assets, financial malpractice, fraud and theft to report it to the government, offering the incentive of a percentage of recovered funds to persons providing information leading to the recovery of funds by the government. The government claims that this programme is a success and that, as at March 2018, approximately 9.12 billion naira, US$368 million and £27,800 have been recovered as a direct result of the introduction of the policy.